an innovative & intuitive pedagogy! Learn French Online. Save time & money. 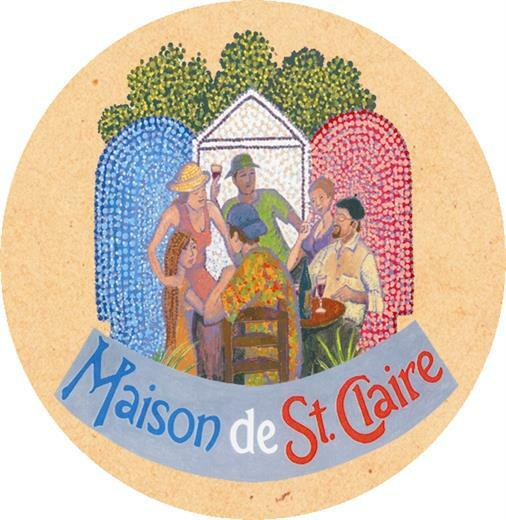 La Maison de Ste Claire supports you all the way! Through our support material on- and off-line, experience independent learning from the comfort of your home. Save time & money. We provide an a-la-carte program specified to the group requirement as established with your teacher. Students will receive an interactive e-Book at the completion of the workshop for revision. La Maison de Ste Claire offers a complete concept for accelerated eco-language learning and cultural understanding. This enables mastery of the French language through total immersion. 3 EASY STEPS TO LEARN FRENCHWant to learn French? No time? Too expensive? No support? Learning French with us WILL save you time, money and we do provide an ongoing support for you. la Maison de Ste Claire's Residential French Immersion Program. Please register for our 40 minutes webinar first day of the month A1, A2, B1, B2. grammar, themes (topics) vocabulary, phonetics and oral conversation with Gilles. ACCESS YOUR FREE ONLINE SELF-EVALUATION HERE. BEGIN TODAY! We believe in creating a multilingual World Community for World Peace and the development of spiritual growth. is to act as a force of good throughout the world. We achieve this goal through education, ecology and ethics, and nurturing our love of humanity and nature, and celebrating the cultural and linguistics diversity of the world. We embrace all the people of the world and belief in equality in humanity. And to have a heart that certainly beats with the pulsation of humanity.